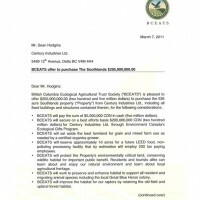 This morning on CBC Radio during the "Early Edtion" hosted by Rick Cluff, an offer to purchase the Southlands for 205 million dollars was announced by Peter Cummings, Director of the BC Ecological Agricultural Trust Society or BCEATS. 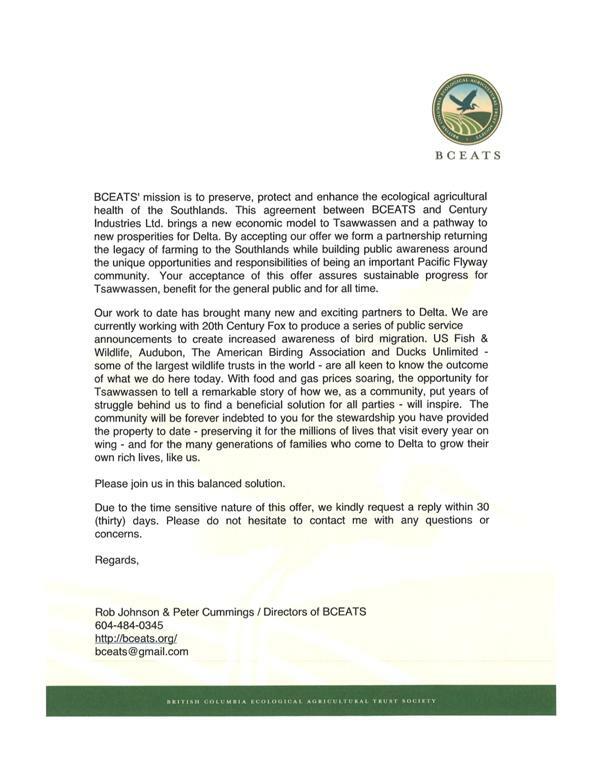 The announcement came in the wake of a contentious public hearing to put the 538 acre parcel of farmland back in the Agricultural Land Reserve. Opponents of the plan would see that the old Spetifore farm be rezoned to allow a residential development plan put forth by the current owner Century Industries. A plan that would see 1900 homes built on 1/3 of the property. In a surprise move by Delta's Mayor Lois Jackson the hearing was temporarily adjourned to convene what she called, "a Mayor's Summit" that would put the stakeholders together with community group representatives to see if there is any way to resolve the issue. The Mayor may have lost her opportunity to be 'peacemaker' as this offer has the ability to change the entire playing field. 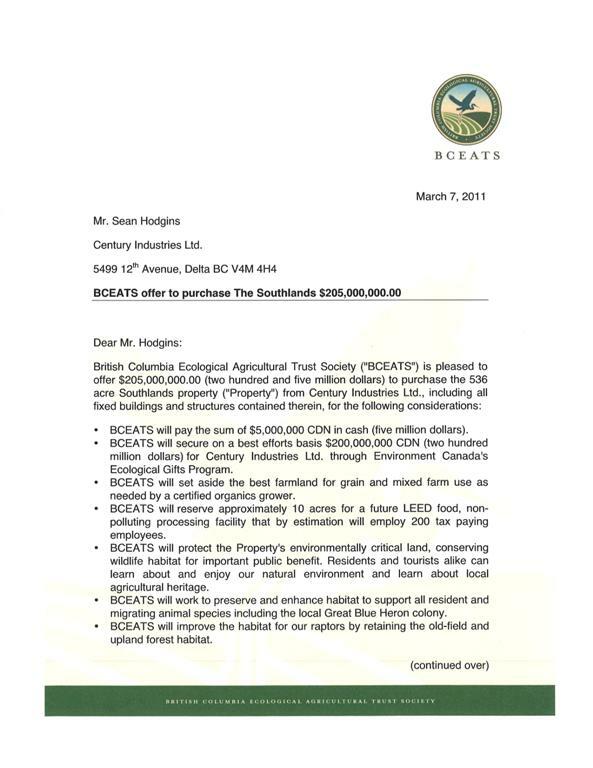 According to a letter to Sean Hodgins of the Century Group if he were to accept the offer he would receive 5 million dollars in cash and an additional 200 million dollars in the form of a tax credit through Environment Canada's Ecological Gifts Program. The plan put forth by the society would see the best farmland used for organic farming, 10 acres for a non-polluting processing plant, and the remainder protected for wildlife habitat in the form of a natural reserve for locals and tourists. Hodgins has 30 days to respond to the offer. 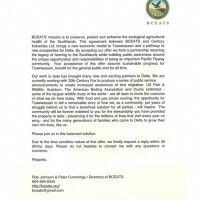 An offer that perhaps has the ability to finally bring peace to Tsawwassen once and for all.